Grimshaw Architects will be the focus of the second event in The Architects Series, a new exhibition format featured at SpazioFMG per l’Architettura, the Milanese gallery operated by Iris Ceramica and FMG Fabbrica Marmi e Graniti. 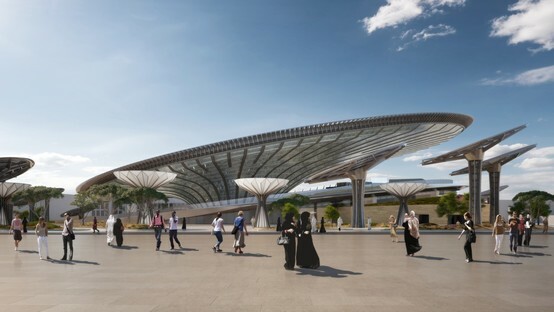 The opening on April 16 will be attended by architect Andrew Whalley, Deputy Chairman of the studio, and the case history discussed in the evening will be the Sustainability Pavilion, a recent project by the studio for Dubai Expo 2020. Founded in London in 1980 by Sir Nicholas Grimshaw, the studio has completed plenty of projects of global scope, including the British Pavilion for Expo 1992 in Seville. 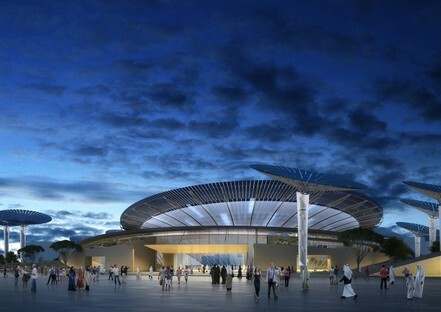 Between October 20, 2020 and April 10, 2021 Dubai will host the World’s Fair focusing on “Connecting Minds, Creating the Future”. The three themes of the exhibition, Opportunity, Sustainability and Mobility, will be addressed in three theme pavilions. 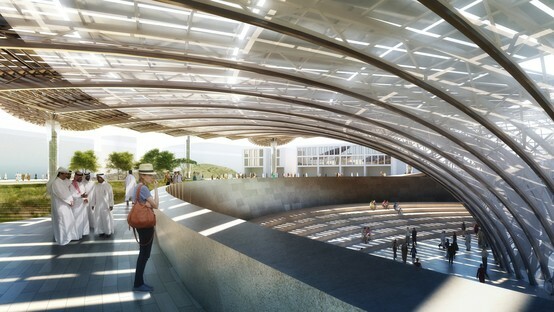 Grimshaw Architects have designed the Sustainability Pavilion, addressing an important theme that poses a basic conceptual problem: a pavilion intended to show the world possible strategies for a sustainable future must itself provide an example of sustainable architecture. The pavilion thus becomes not only a container but the “content” of Expo, showing the world how good practice and research into sustainability can be applied to architecture, even in extreme climates such as Dubai’s. The pavilion is currently under construction in a prominent position on the Expo site, where it is not an isolated structure but a project set in a landscape made up of demonstration gardens, winding paths and shaded areas. This context of gardens and outdoor exhibition spaces is an integral part of the exhibition route, and the landscaping of these areas is of essential importance, providing space for food and beverage sale and for managing crowds of visitors. Dubai Expo2020 is expected to attract 25 million visitors, compared to 20 million expected at Milano Expo2015, when the actual figure calculated at the end of the fair was 22.2 million. Visitors to the Sustainability Pavilion will be welcomed with the sights, smells and textures of nature, an integral part of the pavilion’s displays, in a holistic experience that is both entertaining and informative. 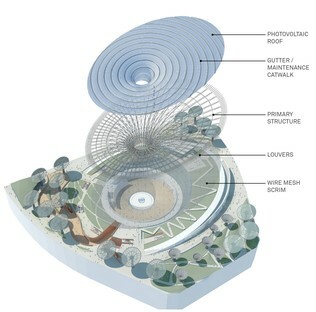 The architects drew their inspiration for the pavilion design from complex natural processes such as photosynthesis. The form of the structure is a direct consequence of its important functions, offering a practical example of what today’s technologies can do even in an extreme climate such as Dubai’s. 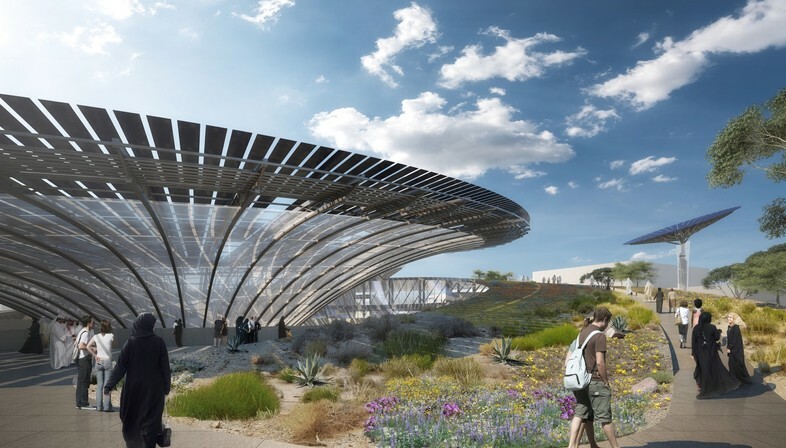 The system perfected by Grimshaw Architects and their consultants use the pavilion’s dynamic shape to collect fresh water from moisture in the air and use the sun as a source of energy with a large surface covered with photovoltaic panels. 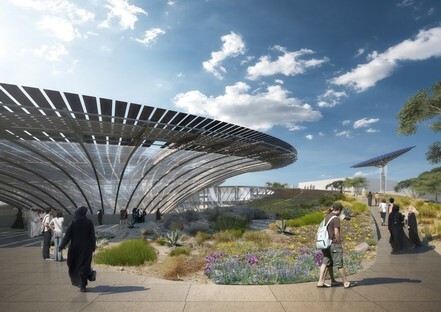 2020 World Expo Sustainability Pavilion - Dubai from Grimshaw on Vimeo. The architects created a flexible building that can be adapted for different uses over time; not an ephemeral construction but a legacy for new generations once Expo is over. Every design solution and decision is the result of careful selection of materials and high quality construction, offering a practical demonstration of how sustainability means responsible use of available resources.